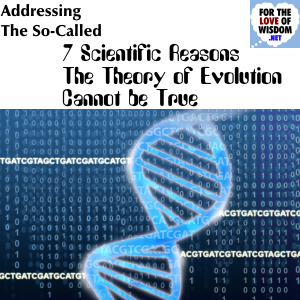 This is a response to an article called Seven Scientific Reasons the Theory of Evolution Cannot Be True by R. Webster Kehr.1 This article makes fourteen objections to evolution, first the seven mentioned in the title, then seven more the author is less sure about. What we’ll discover as we examine his objections to evolution is that each one is rooted in misunderstandings of how evolution works. 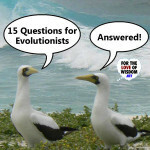 As we expose these misconceptions, we will also examine how evolution actually does work. We will consider each one of his fourteen objections in turn. I have quoted liberally from his article to clearly represent what he is saying. 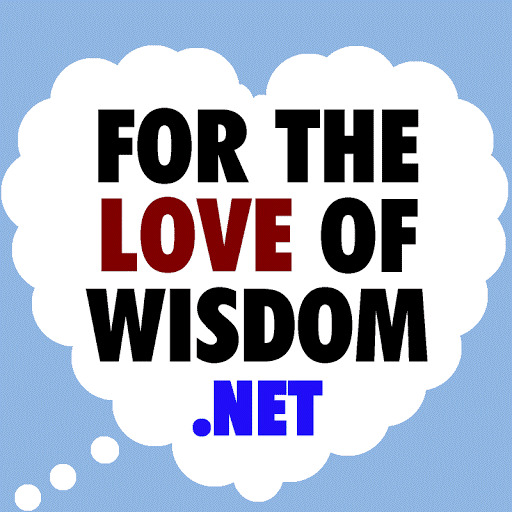 All quotations are made under fair use for the purpose of criticism and education. All emphases in his quotations are his, and in his quotations, I have copied his method of using italics and underlining together for emphasis. This is described as the natural deterioration of DNA via mutations which are caused by various types of errors; such as errors in copying a chromosome. So far, the objection is that mutations happen, and this somehow leads to deterioration of DNA. Mutations do happen. Without mutations, there would be nothing for natural selection to select, and evolution would grind to a halt. But what is this genetic deterioration they are supposed to lead to? If you have a genetic sample that gets copied, and its copies make copies, and so on for several generations, mutations will introduce differences from the original genetic code, and these genetic differences will grow greater and greater over time. Evolution depends on this happening. This may be deterioration of the original message, but there is nothing so sacred about the original genetic code that deviations from it should be characterized as deterioration in any broader sense. So what is the objection? If evolution were true, our human DNA, and the DNA of all other living species on this earth, could trace their genealogy back to the “first living cell” and thus all DNA on earth would contain 660 million years of accumulated genetic defects because there would have been 660 million years of accumulating and continuous genetic entropy. Defects is a loaded word. Not every mutation results in defects. Some mutations result in improvements. Although defects normally outnumber the improvements, natural selection selects the improvements and discards most of the defects. This is why human DNA, and the DNA of all other living species on earth, is the result of millions of years of accumulated genetic improvements. So, again, where’s the objection? Human DNA is too perfect to have been exposed to 660 million years of genetic entropy. If George and Mary (evolution’s equivalent to Adam and Eve) existed 100,000 years ago, they would have had 660 million years of accumulated genetic defects (e.g. genetic entropy). If human DNA appears so perfect, it is thanks to natural selection selecting improvements while discarding defects. Not that human DNA is perfect. Humans do suffer from genetic diseases, many people are, thanks to their genes, less fit than others, and the human genome just isn’t ideal for a bipedal species. Instead of being designed for bipedalism from the ground up, we are modified quadrupeds, which gives some people back problems. So, does he have any further objection here? If the theory of evolution were true, and all of our ancestors and ancestor species only had 1 mutation every year on average, we humans would have 660,100,000 random defective mutations on our DNA due to genetic entropy. No species could survive with this massive amount of defects in their DNA. He’s right to note that genetic defects threaten survival. What he fails to take into account is that this is how natural selection stops the spread of genetic defects. When a mutation is defective enough, it will kill a living being or otherwise impair its ability to reproduce, and when either of these happen, copying of the mutation will stop. The mutations that accumulate in great numbers are those that do not kill their hosts and do not impair reproduction. Science claims that DNA has improved by random mutations of nucleotides. This theory is in direct opposition to discoveries in genetics. DNA deteriorates, not progresses, over time. This is a scientific fact. Given the mathematical problems of the theory of evolution, detrimental mutations caused by genetic entropy would have occurred millions of times faster than favorable mutations. It would be like trying to swim upstream of a 5,000 foot tall waterfall. It’s not really correct to describe DNA as deteriorating or as progressing. It’s more correct to describe it as changing. Some of these changes will hinder the further survival and reproduction of a species, and some will enhance survival or reproduction. Natural selection naturally favors changes that help survival or reproduction. Survival matters because it gives more time for reproduction. What ultimately matters to natural selection is whether genetic information keeps getting copied from one generation to the next. As long as this happens, it is being naturally selected. Detrimental mutations will not accumulate, because those who have them will normally die before passing their genes on to a new generation. There is an assumption in the theory of evolution that when an extra copy of a gene or chromosome is accidentally made, that the mutations needed to complete the transition to a new species all occur in exactly the right locations on the DNA. This is nonsense. It is indeed nonsense. But it is not an assumption in the theory of evolution. What our creationist friend is assuming is that evolution makes a transition from one species to another in large leaps. The idea is that members of one species, such as chimpanzees, suddenly have a child of an entirely new species, such as a human. The transition from one species to another is not nearly as discrete as this. The transition from one species is a very gradual thing, and it is never the case that members of one species suddenly give birth to another species. Here is what does happen. Populations of the same species separate from each other, and over time, the two populations grow different enough from each other that they can no longer reproduce with each other. This can work spatially or temporally. Sometimes, a species grows so different from its distant ancestors that if time travel brought them together, they would be unable to reproduce with each other. A species is basically how we identify a population of living beings who can naturally reproduce with each other. The borders of a species are fuzzy. Our more distant human-like ancestors would still have been able to mate with their closer ape-like ancestors. But humans eventually grew different enough from apes that they could no longer reproduce with each other, which is what made them different species. I have already covered this in more detail in a blogpost called How Macroevolution Works. After bringing up this strawman portrayal of how evolution works, he explains that genetic chaos is the concept that all mutations on DNA can occur anywhere on the DNA. This is absolutely true. Mutations can occur anywhere on the DNA. But mutations do not have to occur all at once for speciation to happen. Mutations can occur gradually, the advantageous ones being selected for, and disadvantageous ones being weeded out by natural selection. Over time, this leads to an accumulation of advantageous mutations that make one population distinctly different from another. Thinking that so many simultaneous mutations are needed for speciation, he claims that the genetic chaos from all of these mutations happening at once would destroy a species. In fact, to get enough targeted mutations to change one species into a related species, he maintains that the total mutations would have to be enough to completely mutate the entire genome. At this point, there would not be enough genetic similarity between a parent species and a child species. He considers this absurd and so denies that genetic chaos is a real thing, maintaining instead that we are the products of special creation. What it all comes down to is that he is expecting evolution to work faster than it does, and he thinks this because he doesn’t understand how natural selection works. Natural selection is a mechanism by which many advantageous mutations, despite being separated by time, can come together to eventually produce a new species. By casting aside bad mutations and keeping the advantageous ones, the advantageous ones keep accumulating, eventually making a new population different enough from an ancestral population that they may rightly be identified as a different species. So, thanks to natural selection, speciation does not depend upon many favorable mutations happening at once, and the absurdity of such a thing happening doesn’t refute evolution. The theory of evolution postulates that new genetic material can be caused by “bulk mutations,” such as creating an extra copy of a chromosome or an extra copy of a section of DNA, and after the bulk mutation, point mutations (which would include new individual nucleotides) fine tune these bulk mutations into new gene complexes, new morphing of the embryo algorithms, etc. Here he is describing the idea of expanding the length of genetic code by copying the same code more than once, then of changing it from the original code through further mutations. This does happen, and it is an important way in which genetic code gets longer and more complex. Without these “bulk mutations,” as he calls them, genetic complexity would not grow, and complex life would not evolve. But how is this supposed to be a problem for evolution? 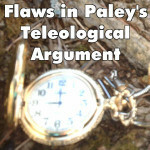 Genetic debris has to do with the failed attempts by evolution to create new species. The attempt does create the bulk mutations, but the point mutations fail to create new genetic information. Thus, the mutated bulk mutations stay on the DNA without adding any new genetic information. First of all, evolution never attempts to create new species. It is not an intelligent agency that plans out what it will do. It is a blind, unthinking process that happens to produce new species from time to time. So describing genetic debris as the failed attempt of evolution to create a new species is just nonsense. Second, point mutations will create new genetic information. To understand why, it is important to understand how genetic information is measured. DNA is a four-letter code. We may represent a strand of DNA with a string of the letters A, C, G, and T. The amount of information in this string is measured by how short it can be compressed without losing any information. Thus, a string such as AAAAAAAAAAA contains hardly any more information than the string AA, since it can be compressed to A11, and the latter to A2. But if a mutation changes one letter, such as GAAAAAAAAAA, then it becomes informationally more complex, since it now compresses to GA10. If that mutation occurred in the middle, such as AAAAAAGAAAA, then it may compress to A6GA4, which is longer than GA10. So, by changing the code that got copied twice, point mutations may in fact create new genetic information. If you start to modify an existing gene complex, but the attempt fails to create a functional new gene complex, you have very likely destroyed an existing and important gene complex and it will never again function properly in the descendants of the animal!! This also means the offspring of this animal may not survive. Again, he is speaking of evolution attempting to create something. Evolution never attempts anything. Evolution just happens. Putting that aside, what this comes down to is that bad mutations are disadvantageous, and they may cut short the survival of those who have them. This is not a problem for evolution at all. This is in fact how evolution works. When mutations are disadvantageous, they get weeded out by natural selection. When a mutation leads an animal’s offspring to die prematurely, it doesn’t get passed to new generations. This is one important way natural selection keeps bad mutations from spreading. If the offspring survive, but malfunctioning genes give them disadvantages, their line won’t last as long as others, and their genes won’t spread much. This is how natural selection curbs the spread of bad genes when it doesn’t halt them altogether. On the other hand, if you start to modify a copy of an existing gene complex, but the point mutations fail to create a new gene complex, then you have a large amount of worthless genetic material on the DNA. I suppose the idea here is that you have DNA that doesn’t do anything, what we may call junk DNA. This is DNA that does not code for a protein. According to a short article called, What is Junk DNA?, 98% of human DNA is junk DNA. So, in the evolution of humans, the processes of duplicating DNA and changing it has resulted in lots of useless code. This is another strike against the idea that human DNA is as perfect as Kehr makes it out to be. Yet despite so much junk DNA in the human genome, it still makes humans. So it looks like having genetic debris or junk DNA is not a huge problem. These failed attempts would extend the length of the DNA, by worthless nucleotides, plus would have extended the length of time needed to create humans, even under the most ideal conditions, to a virtually infinite amount of time. Apparently, he thinks that duplicate copying of DNA would happen so much, it would extend the length of DNA immeasurably, so much so that going through the whole code would take too much time to create a person. Well, if there is an upper limit to DNA length that would prevent an animal from being produced by DNA, that would cap the length that DNA could grow. It would never grow any longer, because there would be no surviving animals with DNA of that length. So we should never expect to find anyone whose DNA is too long to produce a human. By virtue of having DNA too long to produce a human, that person just wouldn’t exist. These failures would have massively extended the length of DNA because there is no mechanism to remove unwanted debris. There is a mechanism. It is natural selection. If genetic debris ever became such a problem that it curtailed the survival of animals with it, it would stop getting passed on. Natural selection is a very efficient weeding process for getting rid of DNA that becomes problematic. A person might think that if there was a failed attempt in creating a new gene complex; that the new species simply would not survive, thus the genetic debris issue would not be a factor. Exactly. I was just saying as much. So what’s the problem? It is not that simple because most new species would have needed 10 or 20 or even more new gene complexes. The probability of creating 20 new gene complexes, each on the first attempt, on a new DNA strand (i.e. in the same attempt to create a new species) is insanely absurd and would not happen a single time in a quintillion quintillion quintillion years!! That’s certainly much longer than the universe has been around, and if he’s right, that’s a big problem for evolution. But this gets back to his mistaken idea that speciation is supposed to happen in discrete jumps instead of gradually. As I’ve already explained, speciation happens very gradually. Thanks to natural selection, helpful mutations accumulate over time, which removes any need for them to happen all at once. Scientists do not see any residual bulk mutations, which have no function, on human DNA. While there are sections of DNA which are not understood yet, there is no section of DNA which has been shown to be unnecessary. This is an argument from ignorance, which is a logical fallacy. He has divided DNA into two types, DNA with an identified function and DNA without an identified function. It may just be easier to identify what a piece of DNA does than it is to demonstrate that it doesn’t do anything at all. This doesn’t mean that no DNA is unnecessary. If his ideas about genetic debris make sense, then we should probably expect to find non-functioning DNA. And it does seem to make sense. We might think of DNA as analogous to computer code. A computer program can have functions or subroutines that never get used, and it can have sections that get skipped over. When you develop a computer program by modifying a pre-existing program, this is liable to happen sometimes. You may originally code for things that cease to be used later on but fail to remove them. And if you wrote code in a blind trial-and-error manner without any idea of what the program should do, areas of dead code would pop up even more quickly. So it is likely that some of our DNA without any identified function actually has no function. But a computer program can still function with dead code, and DNA can still function without making use of every bit of DNA. Nevertheless, I can think of some functions junk DNA performs as junk DNA. Consider that a sheep is safer in a herd of sheep than it is on its own. If a predator came across a lone sheep by itself, it would likely attack it, but when it comes across a herd of sheep, it is likely to attack one of the slower and weaker sheep, leaving the rest of the sheep alone. This illustrates the idea of safety in numbers. Active DNA may be safer from mutations when it is surrounded by junk DNA. When junk DNA is mutated, it won’t affect the functioning of the organism or the offspring. This allows for greater stability in the phenotype despite random changes to the genotype. Another function of junk DNA may be to provide redundancy in the genetic code. Suppose we get some junk DNA by duplicating a piece of genetic code. Now we have two pieces of genetic code that are the same, but only one is active. If the active code gets garbled by mutations, so that it doesn’t function anymore, and the duplicate junk DNA remains closer to the original, it might get used in place of the garbled DNA segment that used to be used. This also contributes to stability of the phenotype. This matters not only to reproduction but to growth by cell division within an organism. One of the causes of aging may be deterioration of the original genotype in cells of the body. Ideally, we want all cells in the body on the same page, using the same DNA. When DNA changes in individual non-reproductive cells of the body, this can lead to a breakdown in maintaining the body. Even when good mutations happen, they won’t spread to the rest of the body, and changes to non-reproductive cell DNA will mainly just introduce chaos into the body and hasten aging. One very dangerous condition that seems to be due to mutations to individual cells is cancer. This is when a non-reproductive cell starts behaving as if it is one, dividing constantly instead of just to replace itself. With junk DNA around to absorb some of the mutations, the same phenotype can be maintained longer, and cancer may be avoided longer. In these ways, having junk DNA may help enhance the survival of an organism. Junk DNA may also play an important role in speeding up evolution. Since mutations to junk DNA do not have any immediate effect on the phenotype, many mutations can accumulate in junk DNA without any effect. Then a mutation may come along which activates some junk DNA. Consider this. If some DNA is active, and some isn’t, there must be something in the genetic code that determines which DNA is active and which isn’t. If this gets changed by a mutation, it can switch off some DNA or switch on some DNA. When junk DNA gets activated after accumulating several mutations, this can cause bigger changes between offspring and parents than we would normally get from individual mutations. It’s as if the junk DNA was a secret R&D lab working on things that might one day be useful. Of course, most of these radical changes would be disadvantageous, but when they get switched on, the disadvantageous ones would be weeded out by natural selection, leaving only the advantageous ones to be passed on to future generations. Here he returns to his idea that the transition from one species to another is incredibly improbable. Let’s remember that his reason for this is the idea that speciation happens all at once instead of gradually. So he thinks speciation does not happen unless a massive number of mutations all happen at once. So, if this is how evolution works, and humans are the product of numerous species transitioning into new species, such as fish to amphibian, amphibian to reptile, reptile to mammal, rodent to primate, and ape to human, just to name a few of the transitions in the history of human evolution, then this highly improbable thing is supposed to have happened numerous times in a row. Of course this would be even more highly improbable. There is no question about that. It may even be as improbable as trying to pick the single correct atom (in a game of ‘hide and seek’) from among 10299,920 Universes in a billion years!! But he is just wrong about how speciation works. It is a gradual process that, thanks to the algorithmic process of natural selection, is bound to happen given enough time. So there is no improbability to it happening many times in a row. Besides that, the activation of mutated junk DNA, as I was just describing at the end of the last section, may allow for small leaps in evolution. Although it would be improbable for many mutations to all happen at once, it would not be so improbable for many mutations to accumulate in junk DNA over time. This would be more of an inevitability. Here he maintains that the evolution of major changes, such as evolving from quadrupedalism to bipedalism, would require several generations, but the process would bottleneck after the first generation. Once again, this is because he is expecting evolution to happen much faster than it actually does. He imagines that the change from quadrupedalism to bipedalism would take 100 generations, and during each of these generations, a male and female who are progressively closer to bipedalism would have to mate. He says that evolutionists account for the right mutations happening by assuming there are large populations, and he thinks this will work for the first generation of mutations, but it will bottleneck after this, because the population will reduce to two, a brother and sister who have the same mutations. If the change takes 100 generations, he expects they can each have 1% change toward bipedalism, but then the next generation will need 2%, the third 3%, and so on, and without a large population, mutations are unlikely to progress like this. But he gets an absurdity like this only because he expects evolution to jump through hoops and operate much faster than it actually does. Here is what does happen. A mutation slightly changes something. If this change is advantageous, it gets spread in the population. Many generations pass, the favorable mutation has become widespread, then another favorable mutation happens. This process keeps repeating, and gradually, very gradually, multiple mutations distinguish one population from a remote ancestral population, so much so that they are eventually different enough to be regarded as separate species. From time to time, there may also be small leaps due to mutated junk DNA becoming active. But overall, evolution will work at a much slower, much more leisurely pace than Kehr expects it to. Because it works so slowly, giving each new favorable mutation time to go viral and catch on, it doesn’t actually bottleneck after the first set of mutations toward a major change. It’s also important to understand that evolution does not operate with an end goal in mind. Evolution never tried to produce bipedalism. It just happened that it did, because in the human line at least, each change between quadrupedalism and bipedalism was advantageous on its own. Let’s consider what some of these advantages would be. Since some animals eat others, the ability to grab prey will be of help to predators. To grab prey, it helps for the front paws to function differently from the hind legs. When the front and back legs are the same, as in a horse, it can be very hard to catch prey. So a division of labor between front paws and back legs makes an animal a better predator. This division of labor is clearly seen in cats, both large and small. Since faster prey escape from predators more easily, speed is naturally selected for in both predators and prey. In prey animals, speed is best increased by strengthening all four limbs. Horses, zebras, gazelles, deer, etc., all have very similar front and back legs, and they are all herbivores whose speed has been useful mainly for escaping predators. Since predators rely more on a division of labor between front paws and hind legs, their gains in speed have to come more from developing the strength of the hind legs. This makes the division of labor even more pronounced than it is for their more evenly quadruped prey. Before moving on to other animals, let me point out that cats and dogs can walk on their hind legs. Cats are not so good at it. In a video called Cats on two legs Compilation, some clips show cats walking short distances, and apparently having run out of clips of cats actually walking, the rest of the video shows cats standing up. However, even if cats don’t walk upright much, the ability to stand upright is advantageous for a cat. It lets it reach things that are higher than its normal level. This could come in useful for catching a bird it has been laying in wait for. Standing upright also helps cats climb trees, a habitat where birds can be found, and a place cats may escape from larger predators. In one clip from the video above, one cat stood on its hind legs to appear bigger than the other cat for the sake of intimidating it. Dogs are much better at walking on their hind legs. In a video called Dog Walks On Two Legs Like Little Girl, a dog can be seen walking down the sidewalk while wearing clothes and a backpack. In a video called Dog walks on two legs, another dog can be seen walking fast to catch up with a human whose longer legs let him walk faster. On occasion, the dog even hops forward a little bit. There have also been sightings of wolves walking on their hind legs, and I expect sightings of this could have contributed to people believing in werewolves. Given that dogs can walk on their hind legs, it makes sense that wolves, which are the same species, can do the same. The main reasons dogs do not walk on hind legs more is that they are faster on all fours, and their front paws are not as useful as human hands. But it’s important to note that they are already capable of bipedalism. Once an animal depends mainly on its hind legs for speed, this provides the opportunity to use its forelimbs for something other than locomotion. One very useful function forelimbs can be adapted for is manipulating food. Squirrels do use their paws to grab small prey, such as insects, but they also use them to open nuts, which provides them with a food source unavailable to animals with hooves on their forelimbs. A squirrel’s paw is better at manipulating things than a cat’s paw is, and this helps a squirrel live in a different environment than a cat. Both squirrels and cats can climb trees, but only the squirrel can move around freely in trees, going up and down them and from branch to branch with ease. In contrast, cats are known for getting caught in trees and needing someone to rescue them. One reason for this difference is that a squirrel paw can grip things, and a cat paw cannot. A raccoon is even more bipedal than a squirrel, and its paws are even more like hands. In a video called 10 Funniest Raccoon Videos, some raccoons show up at someone’s door, and she proceeds to offer them bread. Then one of the raccoons grabs her bag of bread from her and runs off with it in its mouth. In another clip from the same video, a raccoon comes across three cats eating catfood. It goes up to the catfood bowl, grabs some catfood with its paw, and eats it. Then it grabs more catfood, putting it into the water bowl to soften it before eating it. Eventually, the raccoon just grabs as much catfood as it can with both paws together and runs off with it on its hind legs. In one more clip from this video, a raccoon can be seen grabbing small fish out of a bucket of water. In some other clips, raccoons are seen holding food while eating it. Thanks to having paws that function more like hands, a raccoon is able to procure food in ways that animals with less manipulable paws cannot. And thanks to being able to run on its hind legs, it can grab food with its paws and scurry off with it. A further development that can aid an animal is the ability to grip and manipulate things more easily than even a raccoon’s paw can. The lemur is a primate that looks a lot like a squirrel and also lives in trees. It can jump from branch to branch, using its hands to hold on when it lands. Its back legs are similar to a cat’s, but its toes are longer and function similarly to fingers, allowing it to grip branches with them. Like a raccoon, a lemur can grab things and can hold food while eating it. It can also run on its hind legs. Some lemur activity can be seen in the video lovely ring tailed lemurs fun and playing at newquay zoo. A monkey is even more bipedal than a lemur. In the video called Most Funny Monkey Videos 2014, monkeys can be seen doing many remarkable feats. In one clip, a monkey is rollerskating. In another, a monkey walks across the rail of a rope bridge, holding its arms out to balance itself. In another, a monkey swings around branches like he’s Spider-Man, flinging himself through the air at a door. In one more, a monkey places coins into a vending machine, presses the button for what it wants multiple times, retrieves the change and gives it to a human, pulls a drink out of the vending machine, gives to the human who breaks the seal and gives it back to the monkey, then unscrews the cap and drinks. In the video Monkey tool usage Hammer and Anvil, monkeys use stones to crack open large pine nuts. Apes are the closest relatives of humans among animals. Apes have hands very much like humans. One of their main differences from humans is that their feet are like their hands. They are adapted for living in trees, and in this environment, having hands for feet is a good thing. Using their hands, apes are able to use tools. In a video called Chimps & Tools, chimpanzees are seen cracking nuts with thick sticks, fishing for ants with thin sticks, and using some other tools of their making. In a video called Ape Makes A Fire: Kanzi The Bonobo Makes A Campfire, a bonobo uses a lighter to make a campfire, roasts a marshmallow over it with a stick, then puts out the fire with a bottle of water after unscrewing the cap. Apes can also communicate using sign language. The gorilla Koko and the chimpanzee Washoe have both been taught sign language. One significant thing about apes is that they are semi-quadrupeds. They are not as fully capable of efficient quadruped locomotion as, say, dogs and cats are. As they walk on all fours, they maintain a semi-biped posture, thanks to having long arms that can reach the ground from such a posture. Their long arms are also useful for grabbing tree branches and pulling themselves up into trees. To escape from larger predators, they mainly retreat to trees instead of running away, as gazelles or zebras would. One of the main things that led our more ape-like ancestors to become more bipedal was the loss of the thick forest environment they had been living in. Instead of living amongst trees, they found themselves living in open savannahs. Without trees to climb into, long arms were no longer as useful, and feet that functioned as hands were no longer as useful. On the open plains, these features became more costly to maintain. But having hands was still very useful. It allowed them to use tools, giving them serious advantages over animals without hands. Without trees to protect them from predators, mobility and tool use would be more important. I expect that tool use was a major selective factor in humans evolving to walk fully upright. As they carried weapons, torches, and other tools, it would help to not support themselves with their fists. So mutations that kept them upright better got selected for, and some of the most helpful mutations for standing upright better were those that changed the shape of the foot. So, bipedalism exists in the animal kingdom to varying degrees. All the animals I’ve discussed here have a division of labor between their hind legs and their forelimbs. In humans, this division of labor has reached its terminus. Humans habitually walk on their hind legs, leaving their hands free for manipulating things and using tools. The idea that quadrupeds would somehow evolve full bipedalism in 100 consecutive generations is hogwash. Bipedalism evolved gradually as the division of labor between hind legs and forelimbs increased, and the various animals I’ve discussed here demonstrate varying stages between full quadrupedalism and full bipedalism. In each case, mutations that made animals more bipedal spread through large populations because they were advantageous in themselves. There was no agenda on the part of evolution to make bipeds, and the mutations leading to greater bipedalism were not useless until full bipedalism was attained. Here he expects that when a new species gets started, and that species reproduces sexually, there needs to be both a male and a female of the species to get things going. Since the species hasn’t existed before, he expects they must have evolved separately into the same species, around the same time, in the same geographical area, and must mate. Since the probability of this happening is exceedingly low, he considers this an absurdity that disproves evolution. Once again, this comes down to his misconceptions about how speciation works. Here he is expecting that a species has its origin in a single mating pair that are each a different species than their parents but are the same species as each other. Speciation just does not work like this. The lines between neighboring species are always blurry. Let’s consider the idea of a ring species. This is when you have a chain of populations that can each breed with a neighboring population in the chain, but the populations at each end of the chain cannot interbreed with each other. Let’s say we have five populations, A, B, C, D, and E. Here, A and B can interbreed, B and C can interbreed, C and D can interbreed, and D and E can interbreed, but A and E cannot interbreed. This becomes like a ring when the end populations, A and E in this case, live nearby each other. This is basically a model of how speciation works. Speciation is never discrete. A change in chromosome number does not create a new species, because mating is still possible between closely related animals with different numbers of chromosomes. The difference in the number of chromosomes can make the generation of offspring less likely between such parents, but it can still happen. Also, offspring are always enough like their parents that they never count as a new species. Speciation happens when one species has become so different from its remote ancestors that they would not be able to reproduce with each other. Both differences in chromosome number and other genetic differences can contribute to this. The thing is, there is never a clear dividing line between one species and another. Species is like color in this respect. There isn’t a clear dividing line between red and orange, but there are things you would clearly call red, such as an apple, and things you would clearly call orange, such as a pumpkin. But there are also colors between red and orange you might not clearly identify as either. Here he claims he ran 10,000 computer simulations in which he tried to randomly create 40 million real human nucleotides. He adds that he was not trying to duplicate 40 million actual human nucleotides, admitting that this would not be fair. He explains that what he was trying to do was create the statistical deviation of these nucleotides. Basically, he was trying to randomly generate something with a pattern that was sufficiently similar to that of 40 million nucleotides. I don’t know what algorithm he used, but it seems odd to expect that you would get something as complex as 40 million nucleotides in only 10,000 tries. This seems sort of like buying 10,000 tickets for a lottery with a $40,000,000 jackpot and when they all lose concluding that winning the lottery is impossible. Google tells me that the human genome has 3.2 billion nucleotides. So, 40 million is equivalent to 1/80th of human DNA. Given that humans have 46 chromosomes, this is roughly equivalent to the DNA in two chromosomes. Since an amoeba is so much smaller than a human, I checked how many nucleotides it has. The amoeba genome actually has 670 billion nucleotides, making it more than 200 times as large as the human genome. This brings up an interesting side issue. Given that a human is much more complex than an amoeba, why isn’t human DNA larger and more complex? From the perspective of God creating humans and amoebas, this makes no sense. But evolution can account for it. For one thing, the amoeba reproductive cycle is much smaller than that of humans. So an amoeba will produce offspring at a much faster rate than humans will, meaning that an amoeba will have a much longer ancestral line than a human will. This provides much more opportunity for the accumulation of genetic debris. Also, since the amoeba reproduces asexually, it passes its whole genome to its descendants. So in amoeba evolution, there is much less shedding of useless genetic material. Finally, instead of keeping its reproductive cells protected from external factors, such as radiation, that may lead to mutations, the amoeba is its own reproductive cell, leaving it more exposed to these external factors than the reproductive cells of multi-cellular organisms would be. Something with a much smaller genome is the bacteriophage M13, whose genome is 6407 nucleotides long. This figure is much smaller than 40 million, even being smaller than 10,000. Life did not start with fully formed cells with 40 million nucleotides suddenly appearing at random. Life has its beginnings at much smaller scales. Furthermore, life and reproduction did not begin together. Before there were lifeforms, there were non-living replicators that were perhaps more like viruses than cells. They had no intelligence, no volition, and no consciousness. Somehow, by accident, some arrangements of matter were able to absorb material from the environment into themselves and split apart once they grew too large. This process of growth and splitting apart led to reproduction. As these non-living replicators made copies of themselves, copying mistakes were sometimes made that gave one arrangement of replicating matter a reproductive advantage over others. Over a long period of time, this led to a variety of arrangements of replicating matter, and some of these started becoming more lifelike. This eventually led to life as we know it. As with species, there is no clear dividing line between life and non-life. There wasn’t one single identifiable living thing that became the ancestor of all lifeforms. Rather, life evolved out of replicating non-life, growing more and more lifelike as it grew more sophisticated. Whatever the first replicators were, they were much simpler than 40 million nucleotides, and the universe had many more than 10,000 opportunities to throw different random arrangements of matter together until one started to replicate. So his 10,000 computer simulations don’t even begin to suggest that life happening someplace in the universe is too improbable to ever happen. He states as his bottom line for this, Patterns of randomness cannot create the highly sophisticated patterns of information and intelligence, such as exist on real DNA. Yes, it is highly improbable for such a thing to happen, and it’s important to understand that evolution does not say this has happened. Random mutation is only one part of the equation. The other is natural selection, which in one objection after another, he has failed to take into account. Natural selection weeds out the unfavorable mutations, keeping only the favorable or relatively harmless ones. This process repeats over and over and over, and it has been doing this for innumerable generations. The information that appears in the DNA of lifeforms has been carefully selected through repeated trial-and-error experiments. Our DNA is not at all the product of pure randomness. It is mainly the product of natural selection, routinely selecting lifeforms that are better adapted for their environments. Evolution by natural selection of mutations is not at all a random process. It is an orderly, algorithmic process, as I have described in The Algorithm of Natural Selection. This takes care of the seven reasons mentioned in the title. In every instance, he fails to understand how natural selection works, and in several, he fails to understand how speciation works. Let’s now turn to the next seven. I just dealt with this above. The first living cells evolved from non-living replicators. Also, the idea of life is fuzzy enough that we can’t really identify the first living cell. As replicators evolved into lifeforms, they gradually became more lifelike. This is something I have no direct knowledge about, but the idea here is that this process is so intolerant of errors that it could be thrown into chaos by even tiny mutations. Okay, let’s say that does happen. Since this is something to do with the embryo, mutations that would adversely affect this would result in still births. So, these mutations won’t pass on to subsequent generations, and they will not accumulate in the genome. The ones that do accumulate in the genome will be those which do not threaten the development of the embryo. That’s just natural selection in action, which is how evolution works. There is nothing here to suggest that evolution should not work. Here he claims that if evolution is true, we should see a gradual pattern in the fossil record, but what we actually see are the sudden appearance of many species appearing at once. Although evolution normally takes lots of time and works gradually, it is also responsive to changes in the environment. In the history of earth, there have been at least five major extinction events and various other extinction events and catastrophes of lesser scale. Each extinction event has radically changed the environment, killing off most species on earth, opening up new niches for others. For example, it is thanks to the extinction event that killed off most of the dinosaurs that mammals started to dominate the earth, filling in various niches that the dinosaurs had suddenly left vacant. the Cambrian Explosion is a total violation of the laws of the mathematics of random mutations of DNA (i.e. the laws of random numbers) because many, many new and odd species suddenly came on the scene. What happened during the Cambrian explosion? What could have set it off? Why would such a variety of lifeforms appear during the Cambrian explosion? Were there any conditions during the Cambrian explosion that sped up evolution? How long did the Cambrian explosion last? To answer the first question, the Cambrian explosion is the sudden appearance in the fossil record of numerous multi-cellular lifeforms. Creationists will point to this as evidence of creationism. So it’s important to ask how evolution can account for this. Let’s begin by looking into what could have set it off. According to a documentary called FIRST LIFE – Arrival, the Cambrian explosion was preceded by a global ice age, in which glaciers covered the entire planet. At this time, most life was still single cell life, and during the time that ice covered the earth, life did not thrive well, but some still subsisted. Finally, the global ice age came to an end. The ice melted, glaciers scraped the land, and mineral deposits fell into the oceans and lakes. These mineral deposits provided a rich food source for life on earth, and after a long time of famine, there was now feasting all over, resulting in a huge population explosion. One effect of this population explosion was to fill the oceans and lakes with oxygen. The presence of so much oxygen helped enable the formation of multi-cellular life, which relies on collagen, which is made with the help of oxygen, to hold cells together. When multi-cellular life began, there was no blueprint for how it should structure itself or behave. So the earliest multi-cellular lifeforms were just colonies of cells stuck together. The sponge is an example of this. The sponge has no specialized parts. It is just a collection of related cells who group together. If you break up a sponge, then leave some of its parts in the same area, they will reform into a new sponge. The first kind of advantage that natural selection would select for is a division of labor between the different parts of a multi-celled organism. For example, a mutation to make outer cells harder might help protect the organism from outside threats, and mutations to make some outer cells more sensitive to aspects of the environment would help it navigate itself better. Meanwhile, mutations that make inner cells better at certain functions, such as digestion, motor control, or decision making would also help the organism survive better. In general, there would be continued selective pressures for greater and greater division of labor between the cells. This would lead evolution of multi-celled life in the direction of developing specialized parts for various functions and taking on a distinct form. In the early days of multi-cellular life, these forms would be many and varied. This is why many odd species would come on the scene, as Kehr mentioned. Mutation works haphazardly without any plan. Some organisms would be similar to us in broad outline, having two eyes, an internal brain, four fins that would later evolve into limbs, but others would be very different. For example, the documentary above mentioned one with five eyes. So, multi-cell life would initially evolve many different forms and shapes. But some of these forms would prove better-suited than others for survival, and these forms would survive best. This is why most multi-cell life eventually took on a more limited set of forms, building on a basic pattern that works instead of starting from scratch every time. If strange new multi-cell lifeforms evolved from sponges today, they would be outcompeted by the descendants of the organisms that beat odd lifeforms the first time. Now that the world is populated by the descendants of organisms who have proven their ability to survive again and again, it would be hard for radically new lifeforms to evolve. Even if there were another extinction event that radically transformed the environment, the new lifeforms to evolve would be building on the patterns that have been working for millennia in their ancestors. But at the dawn of multi-cell life, these conditions didn’t yet exist, and variety was the norm until some forms started surviving and reproducing better than others. Another factor leading to a variety of forms was the arms race between predator and prey. Once some multi-celled organism became populous enough, it opened up a niche for preying upon them. Organisms that evolved an ability to prey on others would have themselves a new food source. In response to this, there would now be selective pressure for mutations that provided defenses against predators. Once defenses appeared, there would be selective pressure for predators to develop ways around the defenses of their prey. This would put more selective pressures on the prey for further defenses, and that would put more on predators to get around them. This would create an endless cycle, an arms race between predator and prey that would continually put pressures on them to become bigger, faster, smarter, etc. Although framed in terms of predator and prey for simplicity, it should be understood that most predators would also be the prey of other organisms, and pressures would be on them to evolve defenses as well. In the early days of this arms race, many new defenses and capabilities would be evolving for the first time. So they would be appearing for the first time in the fossil record for this period. Besides accounting for a diversity of organisms in the fossil record, this arms race would also drive evolution. It would create endless changes in the environment that would create new selective pressures for organisms to adapt to. Since many of these defenses and capabilities would be appearing for the first time, the environment would be changing more rapidly than it later would when all the typical defenses and capabilities had already evolved. This was still a time when innovative mutations mattered more than mutations that just improved on what had already evolved. This would help evolution move at a faster clip than it later would. But it’s not the only reason evolution would be faster. Getting back to specialized cells, one of the things that would eventually be handled by them is reproduction. While a single cell would normally reproduce by splitting itself, a multi-cell organism with a division of labor between its cells would lose important functions if it split itself apart. If this didn’t kill it right away, it would leave it less capable and more vulnerable until it could regrow the necessary parts. And even if it could do this safely, reproducing by splitting itself apart would keep slowing reproduction down as bigger multi-cell organisms evolved. Since natural selection favors the characteristics of organisms that reproduce better than others, it would favor a method of reproduction that allows for rapid, high volume reproduction. Passing on the job of reproduction to specialized cells allows for faster, higher volume reproduction, since an organism could rapidly produce many reproductive cells and let each one grow into a new organism. But to do this safely and effectively, the reproductive cells would have to be kept from growing until they were ejected from the parent organism. Otherwise, they would grow inside the parent, killing it, which would curtail its further reproduction. Splitting reproductive cells into two unequal halves that cannot grow until they combine together solves this problem while also allowing for storage of half-cells of the same type in the same space. This may be the origin of sexual reproduction. Sexual reproduction would enhance evolution in multiple ways. One is that it would speed up reproduction by allowing the same organisms to rapidly have many offspring. This would not always hold true. Pregnancy would slow down reproduction for mammals and also put a limit on how many children a mammal mother could have at once. But for the earliest multi-cell life, there was no pregnancy, and sexual reproduction would have this advantage. A multi-celled organism could function as a gamete factory, frequently pumping out male or female gametes that could mix with others to form offspring. Another advantage of sexual reproduction is that it allows for the reshuffling of DNA by mixing half the DNA of one parent with half the DNA of another. One way this speeds up evolution is by bringing together helpful mutations that happened in unrelated organisms. Instead of inheriting all their DNA from a single line of descent, as single cell life had been doing, sexual multi-celled organisms would be inheriting the best mutations from multiple lines of descent. This allows for a more rapid accumulation of helpful mutations. Many members of a population could get different mutations around the same time, then the ones that help some of them survive better could come together in their offspring. It would also create a better playing field for testing the helpfulness of new mutations. By spreading the same mutation around organisms with different DNA, it would test new mutations under different conditions. To spread in the population, a mutation would have to prove helpful to organisms with different DNA. Shuffling DNA would also allow different combinations of DNA to compete with each other, so that the best combinations of DNA get selected for. These factors would help speed up evolution faster than it had been going for single-cell organisms. While a single cell would be copying itself repeatedly, sexual organisms would be factories for producing new offspring with different combinations of DNA. This combination of mass production, variation, and bringing together the best mutations from multiple lines of descent would allow multi-cell organisms to evolve new characteristics more rapidly than single-cell organisms could. So the evolution of early multi-cell life would go faster than it previously had for single-cell life and also faster than it later would for mammalian life, whose reproductive cycle gets slowed down by child bearing. Since these factors would have sped up evolution for early multi-celled life, more evolution would have happened in the same time frame. Now how about the length of the Cambrian explosion? According to the Wikipedia article on the Cambrian explosion, it took place over ten stages during a course of approximately 80 million years. To put that duration in perspective, it has been about 65 million years since the last major extinction event, the comet or asteroid that wiped out the dinosaurs. Since that time, mammals and birds evolved into a variety of forms, spreading over the whole planet, and only about a few million years ago, human beings evolved and became the dominant lifeform on the planet. If all that can happen in 65 million years, it’s not so surprising that many different new and novel lifeforms should emerge during the 80 million years of the Cambrian explosion. When we take into consideration that evolution of multi-celled life happened more rapidly than evolution of mammalian life did and that variety was the norm until some forms started doing better than others, it is even less surprising that an explosion of different life forms should be seen in the Cambrian layer. Scientists have never observed the random creation of new genetic information, including at least one new functional gene complex. This is such a preposterous thing to say, he must be working with a different definition of information. Any strand of DNA has genetic information in it, and some mutations change the amount of information. If a mutation copies genetic code more than once, as he was discussing under the concept of genetic debris, that is one way of adding genetic information. If a mutation makes a piece of genetic code more complex, that also adds genetic information. This is done by making its compression length longer. For example, AAAAAAGAAAAAAA is more complex than AAAAAAAAAAAAAA, because it compresses to A6GA7 instead of to just A14. And even where the compression length doesn’t change, a mutation may change the genetic information that is present. In that sense, it is new information. So, as long as scientists have ever witnessed mutations, they have witnessed the random creation of new genetic information. But as I was saying, maybe he has a different understanding of information. More generally, we distinguish between noise and information. In the sense of information I have just been discussing, white noise is full of information, but it doesn’t contain anything we would recognize as meaningful information. If I listen to someone talk, I can learn something, but if I listen to white noise, I won’t learn anything from it. Nevertheless, if I compress a minute long recording of someone speaking, and I compress a minute long recording of white noise, the recording of white noise should be longer. But this kind of distinction doesn’t apply to DNA. I don’t read DNA like I read a book and try to learn something from it. DNA is like instructions in a programming language, and each letter provides a different instruction for building a lifeform. Change these instructions even slightly, and it will build a different lifeform or sometimes fail to build one, but even that failure will be due to a change in information. not only have scientists totally failed to create life from non-life, but they have also never seen new genetic material form. These failures do not impugn the theory of evolution. Scientists haven’t had the billions of years the universe had to create life from non-life. Their failure to do this does not in any way entail that it never happened. Nor are scientists, even with the DNA of millions of species to study and steal ideas from; ready to design the DNA of extinct dinosaurs which had both a male and female. This would be like expecting historians or philologists to recreate lost literature by stealing ideas from the ancient literature that isn’t lost. It is a ridiculous expectation, and the failure of scientists to meet this expectation says nothing against evolution. While scientists constantly claim they have witnessed “evolution,” this is nonsense. The test for true evolution is the creation of new genetic material, including at least one new gene complex. What does he expect new genetic material to be? Something that functions like DNA but isn’t the same as DNA? Original DNA that comes from non-life instead of from a living organism? Both of these are absurd expectations to place on scientists, and neither is required to demonstrate the truth of evolution. 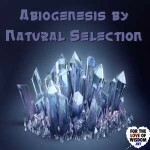 Although evolution may have played some kind of role in abiogenesis, evolution is about far more than abiogenesis. It is about how living organisms change through mutation and natural selection. If one understands how these work, evolution makes sense. The main reason Kehr expects such tall tasks from scientists is because he just doesn’t understand how natural selection works. 3) It was a case of point mutations which resulted in a loss of genetic information, but due to environmental reasons, there was a survival benefit. Macroevolution is what happens when a lot of microevolution happens over a long enough period of time. So if scientists have witnessed microevolution, they have witnessed evolution. See my post How Macroevolution Works for more information on this. Furthermore, witnessing evolution in action is not the only evidence for it. Sherlock Holmes doesn’t have to witness a murder to know who did it, and our knowledge of evolution is found in much the same way, from putting together clues and making deductions. For example, humans and chimpanzees share 98% of their DNA and are very similar anatomically, but they are not the same species. In general, the percent of DNA two species share in common correlates with how similar they are. This is evidence that changes in the genetic code have resulted in new species. While mating is normally possible only within the same species, sometimes closely related species can mate and produce sterile offspring. For example, a donkey, which has 62 chromosomes, and a horse, which has 64, can mate and produce offspring. If the donkey is male, their offspring will be a mule, and if the horse is male, it will be a hinny. This is evidence that the horse and donkey have a common ancestor. Given that they are different species, it follows that this ancestor evolved into another species over time. Virtually every gene, on every DNA, of every ancestor species of humans, from number 3,000 to 1,000, is no longer needed in humans because these old genes were needed for functions which do not apply to humans. Thus, there was no need for evolution to modify these genes. It is important to understand that evolution is not an intelligent being, and it is not going to avoid doing something because there is no need for it. Kehr previously said as much when he described genetic chaos as “the concept that all mutations on DNA can occur anywhere on the DNA.” Mutations are non-discriminating like that. Just because a segment of DNA is not being used doesn’t mean it won’t mutate. So where are the sets of genes for at least 2,000 of our ancestor species than humans do not need? Besides being ungrammatical, this is a non sequitur. There is no reason we should contain all the DNA of ancestor species. Throughout the course of evolution, our DNA has been modified by mutations, which are copying errors. Therefore, we should not expect to have perfect copies of the genes from 2000 ancestor species. Because there is no mechanism to remove the no longer needed gene complexes from our ancestor species (remember these gene complexes are not in any way needed by humans), they must still be stuck on our DNA because these species are our ancestors. But they cannot be found on our DNA!! There may indeed be no mechanism for discarding unused DNA. It’s a freerider that doesn’t help or harm the organism. But, old DNA from ancestor species doesn’t get filed away and kept preserved. It will still mutate, and sometimes a mutation will bring it back into use, giving natural selection the opportunity to hone it or toss it out. As I mentioned while discussing genetic debris, 98% of human DNA is junk DNA. So there have been genetic leftovers. There is just no reason to expect there to be as much as Kehr is expecting. For example, human DNA would include the entire DNA of the “first living cell” and the unique DNA of all of our ancestor species (which apply to functions which humans do not have), because there is no mechanism to identify and remove useless, failed and old DNA sequences. To expect human DNA to include the entire DNA of the “first living cell” is like expecting a perfect reproduction of a music performance from a tape recording you made of a scratchy record played on a cheap record player during a stormy night using a cheap monophone microphone. It’s just not going to happen. When there are copying mistakes, you can no longer be sure what the original was. There is no mechanism for preserving DNA except copying it, but mutations are copying mistakes, and when these happen, we no longer keep a pristine record of past DNA. So Kehr is just off the mark here in this expectation. Isn’t it interesting that when a new species is made by evolution that new hormones, unique to that species, and different between a male and a female, just happen to be created? Once again, he is failing to understand how speciation works. A new species never just appears suddenly. Two related populations become different species from each other when they can no longer produce fertile offspring together. I have gone over this many times already. So I will just leave it at that. Time after time the results of evolution would create massive defects in DNA of species after species. This is totally untrue, and saying this just reflects his ignorance of how natural selection works. When there are massive defects in DNA, natural selection will select against them, such that those who have massive defects will die or otherwise fail to pass their DNA on to future generations. Natural selection keeps what is best and most useful in DNA. It is regularly refining DNA by selecting against defective DNA. But human DNA today is so perfect it is obvious (given evolution’s claims of 660 million years of genetic entropy, genetic chaos, genetic debris, etc.) that evolution is scientific nonsense. I have already dealt with this claim when he made it during his discussion of genetic entropy. He is just repeating objections he has already made, perhaps to round out each set of objections to seven, which is a significant number to Christians. Over and over again, Kehr has failed to understand the role that natural selection plays in evolution. Evolution is not simply about life appearing and changing at random. That would be absurd. Evolution is about how natural selection picks and chooses the various random changes, favoring those best at surviving and reproducing, so that over long periods of time, non-living replicators evolve into living replicators, and life evolves into a variety of different directions, filling various niches. It is also about how competition between different lifeforms keeps upsetting the status quo, so that lifeforms who evolve better ways to survive or reproduce pass their genes on more than others do, resulting in regular improvements to lifeforms. He also repeatedly fails to understand how speciation works. Speciation is the result of two populations growing so different that they are no longer the same species. Many of his mistakes come from imagining that speciation is a clearly delineated thing that happens between two generations, resulting in a child who is a different species than its parents. That is just not how speciation works. Overall, every single one of his objections to evolution is rooted in ignorance of how evolution works, and he never makes a single legitimate point against evolution. It is all a fabrication to justify their philosophies and their egos. They want to be considered the highest form of intelligence in the Universe. Evolution is all about ego, status and prestige; it is certainly not about science. Actually, evolution points to the possibility that there are lifeforms on other planets whose intelligence is superior to our own, and it leaves open the possibility that more intelligent lifeforms than us may still evolve on earth. It doesn’t give us the ego boost of being able to say that we are the pinnacle of creation, especially created for companionship with the supreme being. It also gives us more cause to see ourselves in the lower animals than creationism does. Furthermore, people still get much more status and prestige from claiming association with a divine creator. From the Pope to a pastor of an individual church, clergy routinely get more respect from a rapt group of followers than scientists get. What has distinguished Darwin and many others who have come to believe in evolution is the desire to understand how things actually work.